Vendors are the heart of the Schenectady Greenmarket. We review applications twice a year and we look for vendors who offer locally produced, high quality goods and who will thrive in a community-based market. The vendor application for the 2019 Summer Market is closed. Vendor applications are accepted through Manage My Market. If you are new to the application process or unsure how to navigate Manage My Market you can find a how-to video here. Please find a full list of our selection criteria here. Schenectady Greenmarket is a place to buy fresh local produce and artisan goods in a festive community atmosphere. 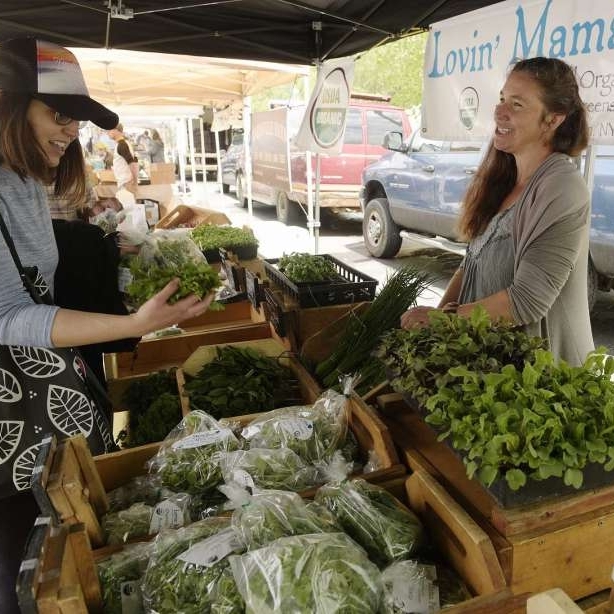 We are building a future in which Schenectady Greenmarket is an integral part of downtown’s cultural landscape, connecting farm and city to create a responsible, sustainable food system. Schenectady Greenmarket is committed to creating a diverse marketplace with the highest quality products produced locally. Although the market will not be bound to apply a particular set of selection criteria in every instance and must reserve unconditional discretion to accept or refuse anyone as a vendor, the board considers many factors when evaluating vendor applications. To read our bylaws click here. Market Rules and Regulation can be found here. For information regarding vendor permits and certification click here. NYS sales tax: If you are selling taxable products such as cut flowers, crafts, candy and food to be consumed at the market, you must submit a copy of your NYS Sales Tax Certificate of Authority to the market. This must be sent along with your membership fee or, if in process, to Schenectady Greenmarket, PO Box 954, Schenectady, NY 12301 prior to vending. If you do not have a certificate, contact NYS Taxpayer Services at 1-800- 698-2909 for an application. Food processors: If you are selling products such as jams, baked goods and prepared foods, you must have proof of certification of your kitchen/food preparation facilities by your county Department of Health or the NYS Department of Agriculture and Markets. This must be submitted with your membership fee or, if in process, to Schenectady Greenmarket, PO Box 954, Schenectady, NY 12301 prior to vending. To arrange for an inspection by Ag and Markets, call the Division of Food Safety and Inspection at 518-457-5459. Food served for consumption at the market: If you are selling food to consume at the Market such as soup, sandwiches, prepared foods and salads, you must have a permit from the Schenectady County Health department in addition to the certification as a food processor as noted in the previous section. This must be submitted with your membership fee or, if in process, to Schenectady Greenmarket, PO Box 954, Schenectady, NY 12301 prior to vending. To arrange for a permit, contact 518-386-2818. Plant and nursery products: If you are selling bedding plants, potted plants and field grown plants, you must have a certificate from the NYS Ag and Markets Division of Plant Industry. This must be submitted with your membership fee or, if in process, to Schenectady Greenmarket, PO Box 954, Schenectady, NY 12301 prior to vending. For an inspection, call 518-457-2087. Cheese producers: Copies of the required certifications must be submitted with your membership fee or, if in process, to Schenectady Greenmarket, PO Box 954, Schenectady, NY 12301 prior to vending. Wineries: Copies of the required certifications from NYS Ag and Markets and the NYS Liquor Authority must be submitted with your membership fee, or if in process, to Schenectady Greenmarket, PO Box 954, Schenectady, NY 12301 prior to vending. Certification of scales: If you are selling products by weight, your scale must be inspected and sealed by a NYS County Office of Weights and Measures. Any county’s seal can be accepted for our market. The contact for Schenectady County is 518-356-6795. This is a partial list. It is the responsibility of each member to comply with all federal, state and local laws and regulations applicable to their products and business. If you have any questions, please email schenectadygreenmarket@gmail.com.